The Carter IV has been pushed back numerous times. After originally being slated for a spring release, now the highly anticipated album is not going to be available until August 29th. Lil Wayne is arguably the most popular artist alive today. The release of Tha Carter IV had his millions of fans preparing to put down their cash to get the album as soon as it came out. But the latest delay, which pushed the album to the end of the summer left fans deflated. Lucky for the fans, Dwayne Michael Carter, Jr. realized the disappointment of such a delay and decided to apologize to everyone the best way he knows how: a mixtape. The album, which features twelve tracks, is Wayne’s way of apologizing to his fans. In every song Wayne makes his sorrow felt by saying he is sorry for the multiple delays. One example is when Wayne says, “I drop that Sorry 4 The Wait to make up for the time,” addressing the release of the mixtape to make up for the album delay. Wayne freestyles over songs such as Rick Ross’ “Tupac Back”, Kreayshawn’s “Gucci Gucci”, Drake’s “Marvin’s Room”, Miguel’s “Sure Thing”, and Adele’s “Rolling in the Deep”. The reaction to the Wednesday release has been mostly positive. 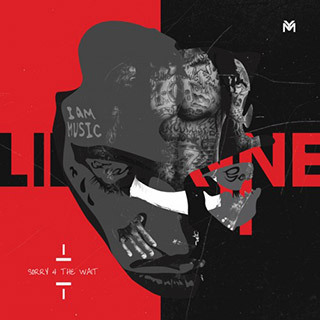 While it is fair to say that most fans would still prefer Wayne’s previous mixtape, No Ceilings, over the latest; Sorry 4 The Wait is not a disappointment. The 12 songs and 40 minutes of freestyles feature the same clever verses as heard in No Ceilings. One year ago, Lil Wayne was sitting in a jail cell in Rikers Island serving time for a gun charge. Today, he is back on top of the musical world as the hottest hip-hop artist in the world. His upcoming studio album is the most anticipated album in the music industry since the release of Tha Carter III. Tha Carter IV will not be released for seven weeks. But until then, the latest Lil Wayne mixtape is going to be more than enough to keep his fans happy. Lil Wayne might be saying Sorry 4 The Wait, but his fans are saying, “thank you Weezy”. You can download the full mixtape on Lil Wayne’s site here. Enjoy. Sorry 4 The Wait does not come close to No Ceilings or previous Mixtapes, but it is ok though. Hands Up and Sure Thing are the best tracks in my opinion. The Carter IV is out and everybody can see how good the Mixtape Sorry 4 The Wait was! Lil Wayne is the most talented artist since Tupac in my humble opinion!